The average tariff rate in Kazakhstan is 8.6 percent. However, Kazakhstan imposes much higher rates on certain imports, among which are canned fish and shrimps (30 percent), sugar (25 percent), and processed meat (30 percent). Some other imports are subject to a high import tariff rate of 100 percent. Besides, Kazakhstan also sets the minimum tariff duties on imports such as color television sets and recorders. The tariff rate on color television sets with screens ranging from 52cm to 75cm is 10 percent, but the minimum tariff on each piece is not lower than €40. Color television sets of other sizes are charged a rate of 10 percent and a minimum tariff of €20. The tariff structure of Kazakhstan has had negative impact on the relevant Chinese exports. The Chinese side is concerned over the issue. At the end of 2004, the Kazakhstani government adjusted the standards for load limits of imports. Kazakhstan imposes a unified tariff on certain imports from China, charging by vehicle regardless of the load limit of the vehicle. Due to the strict load limit to imports in the new regulation, the tariff per unit of goods has increased at least by 30 percent. China is concerned about the unreasonable practice of charging the tax by vehicle. 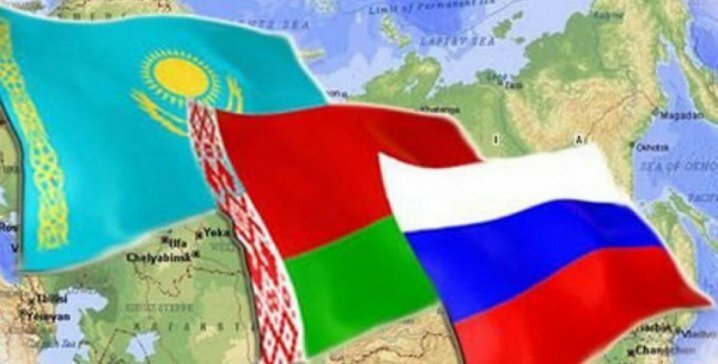 Since October 2002, Kazakhstan has authorized a third-party organization to do "customs audit" on imports, which usually determines the customs value of imports based on the international prices. The practice is not in accordance with Article 7 of the WTO Customs Valuation Agreement and results in overvaluation of about 20 percent of the imports. The Kazakhstan Customs specifies that when declaring imports with photocopies or fax copies of documents, an importer must verify the authenticity of such documents through notarization and notify the Customs with a letter; the imports will not be released if an importer fails to provide the "Transaction Passport" issued by the Kazakhstan Customs and the Central Bank for the purpose of supervising the use of capital during the transaction. The cumbersome Customs clearance procedures and unreasonable documentation requirements of Kazakhstan have added to the importer's Customs clearance costs and risks and have constituted practical obstacles to Customs clearance. The Chinese side is concerned over this issue. Furthermore, the Kazakstani Customs Code clearly states that a certificate of origin is required of imports only under three circumstances. However, in the actual practice, the Customs requires certificates of origin of imports under other circumstances as well; otherwise, import duties will be doubled based on the specified legal rates of Kazakhstan. This arbitrary practice has caused great uncertainty for relevant Chinese exports to Kazakhstan. The Chinese side is concerned about this issue. The Chinese side hopes that Kazakhstan will take effective measures to reduce the negative effect of Customs clearance procedures on the imports. All our cases are snap on hardelshell cases. Size - 4 x 6 in. What are trade associations responsible for.